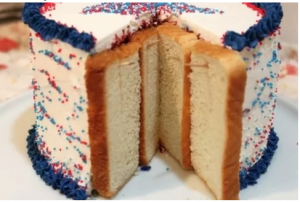 Bread with toothpicks keeps a cake fresh. Quora.com/What-is-your-best-kitchen-advice has dozens of great kitchen tips. Did you know oiling the shells of your eggs will make the eggs last three or four extra weeks? Wrap celery in foil and it will last almost a month. Poke a lemon with a toothpick if you just need a few drops, then seal it up again with tape. The readers’ comments are great.